Spring is a splendid time of year. 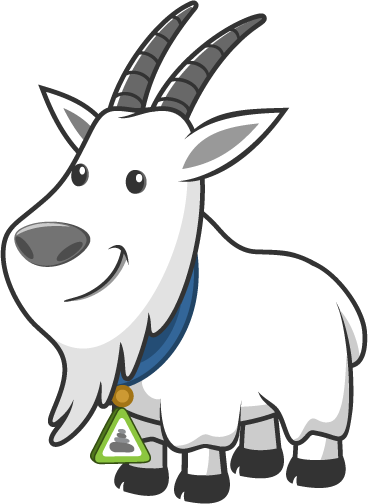 The weather is warming, the flowers are blooming, and creatures everywhere are getting twitterpated. 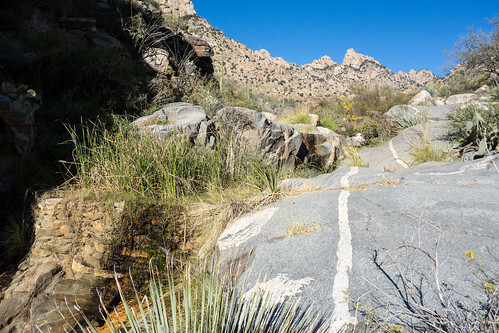 We've already done a whole post about the best wildflower hikes in Tucson, but there are plenty of other amazing trails that you should consider conquering before the temperatures get too high. 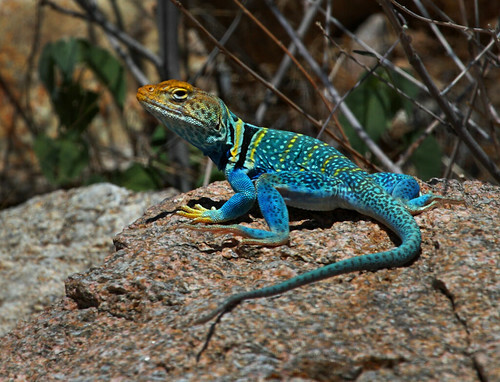 Although these hikes may not be to be places to witness the wildflower bloom, there is plenty of other natural beauty to be seen on these trails in the form of the local fauna, like the magnificently colored Collared Lizard. Spring is the best time of year to spot all kinds of Sonoran Desert critters, like Gambel's Quail and Gila Monsters, as well as the aforementioned Collared Lizard because they are out and about looking for food and mates after a cold winter. Although the thermometer hasn't usually maxed out in the springtime in Tucson, it can still get pretty toasty outside. For that reason, the main thing that all of these hikes have in common is a way to stay cool. 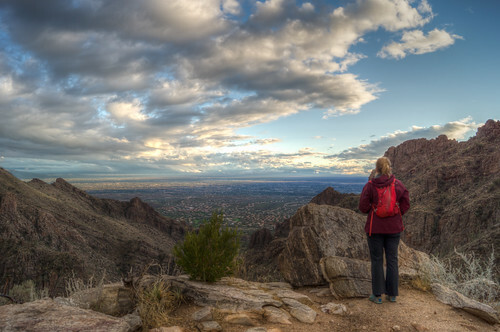 Whether through shade, elevation, water, or a combination of all three, these hikes are your best bets to enjoy the outdoors around Tucson as the transition towards summer gets underway. Traversing along the East wall of Sabino Canyon, the Phoneline Trail provides plenty of shade in the morning hours before the Sun rises above Blackett's Ridge. You can either hike to the big flat rock part way up the canyon for a nice picnic spot, or go all of the way to the end of the trail for a level 5 hike where you'll find several rocky towers right in the middle of the canyon. 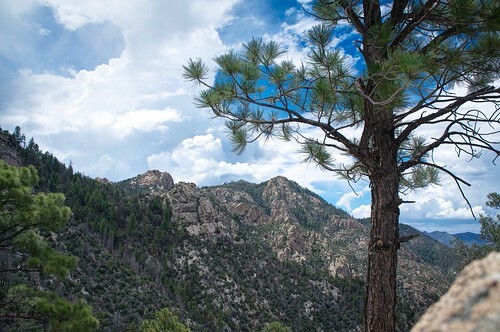 Up in the Catalinas above 6,000 feet, the hike to Guthrie Peak is a cool walk among the pines without having to drive all of the way to the very top of Mount Lemmon. 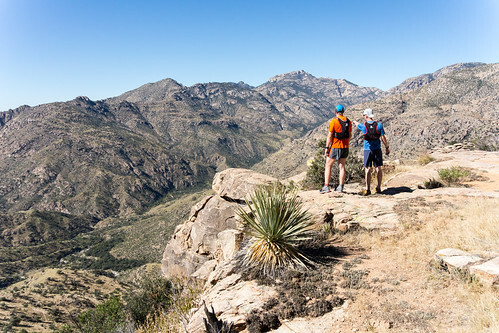 The Green Mountain Trail that takes you to this little known summit traverses the North side of the range, which means you'll be treated to a beautiful view of the San Pedro River Valley. Many Tucsonans know about the amazing Finger Rock Trail, which is also on this list a few hikes down, but one canyon East is Pontatoc and it's worth a visit. The rocky cliffs of Pontatoc Ridge provide ample shade for the canyon in the morning, and early snow melt or a spring rain can create a picturesque waterfall into a rocky amphitheater part way up. As the temperatures begin to rise, water becomes even more precious in the desert. 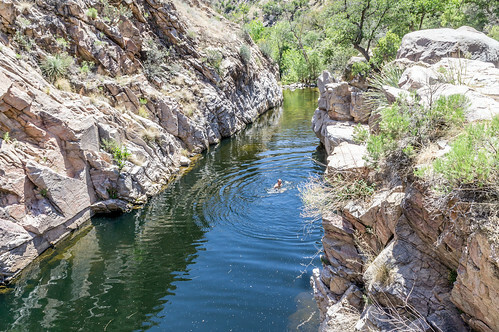 It's a 4 mile exposed hike from tram stop #9 to get to Hutch's Pool, which means that it may be a bit rough in the summer, but spring is the perfect time to find this Olympic swimming pool sized body of water in the middle of the Catalinas. With plenty of cool water, a sandy beach, and lots of shady picnic spots, this is an ideal hiking destination. 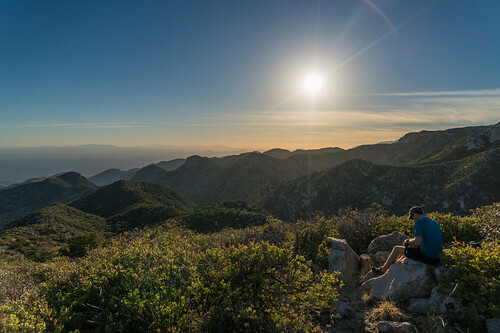 Starting in the pines near the Palisades Ranger Station off of the Catalina highway and descending down into the high desert grasslands of the Catalinas, this hike is ideal for springtime. Not only will you be able to enjoy seeing all of the growing and blooming flora, but there is a good chance that you'll be treated to a seasonal waterfall created by snow melt or rain. The Finger Rock Trail is a favorite among locals because it's beautiful and it gives a great workout. Since the trail climbs up the East wall of the canyon, you're likely to enjoy shade for quite awhile in the morning, but this isn't a hike you want to be doing in the triple digits. 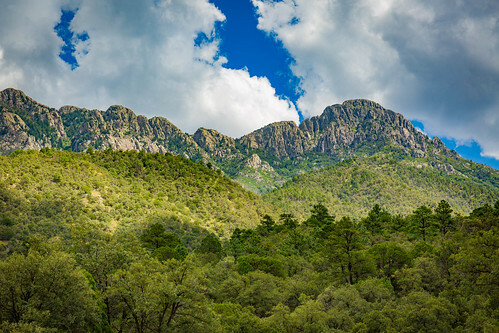 Down in the Santa Rita Mountains South of Tucson, the loop trail that passes both Bog and Kent Springs is mostly shaded by dense pine and oak trees. However, the trailhead is only at around 5,000 feet, which means that it could still get a bit warm in the middle of summer. 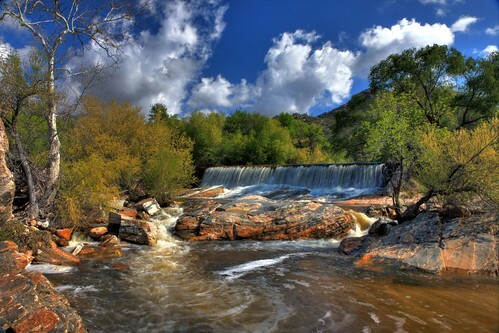 When you plan a hike to Tucson's most famous waterfall, chances are that you'll want to actually see some water there. Even better if you're able to cool off in the water after hiking to them deep in Bear Canyon. In the winter, the stream of snow melt is downright frigid, and going in the summer is likely to yield either too little water or dangerously too much. That's why the springtime is the ideal season to venture up the shady canyon to these cascades. Even though it shares the same trail as the hike to Guthrie Peak higher up on this list, the Green Mountain hike has two big advantages. First, it's a one way hike, which means that you'll either need a pickup or a shuttle, but you'll never see the same scenery twice. And second, it's all downhill. What's not to love about that? 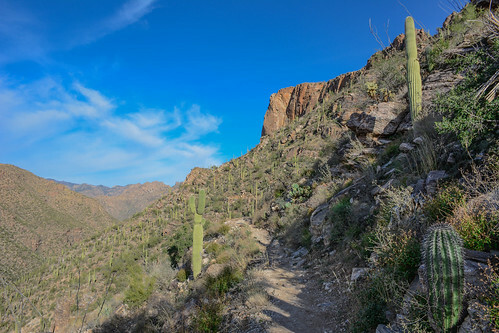 Pima Canyon is another popular place for locals to hit the trail. Even though it's down in the desert, it's high walls will usually provide a good amount of shade in the first half of the day. Partway up the canyon is an old stone dam that was built to provide water for the local wildlife, but this spot also makes for an excellent picnic destination. Even the natives who lived in the area over a thousand years ago thought so since you can find several bedrock mortars nearby. This short loop hike through Sabino Canyon Recreation Area is a great way to pack in a ton of variety in a short distance. You'll hike through sparse desert foliage, a rocky canyon, and along a sandy riverbed flowing with cool water. Since there isn't much shade to be found and the water can get sparse in the middle of the year, spring is the ideal time to tackle this hike. As we put together this list, there were a few hikes that we felt were right on the edge of being worthy of making the cut. Picacho Peak and Romero Pools were both featured in our post on the best wildflower hikes, so we didn't feel too bad about axing them. Although Cardiac Hill does spend some time in a canyon that proves a bit of shade, the walls aren't super high and the respite doesn't end up being as long as other canyon hikes that we've mentioned. Nevertheless, all three are great options in the springtime if you're looking for ideas. Halfway up Ventana Canyon, which tends to stay shady and cool in the morning, you can find a series of pools carved out of the bedrock just above a waterfall. Since the pools sit just beyond an exposed climb up a series of switchbacks, you might be inclined to take a cold dip in the stream flowing through them. Or if you opted to do the level 6 hike to The Window, the pools can make for a refreshing stop on the way back down. Do you agree with our list? 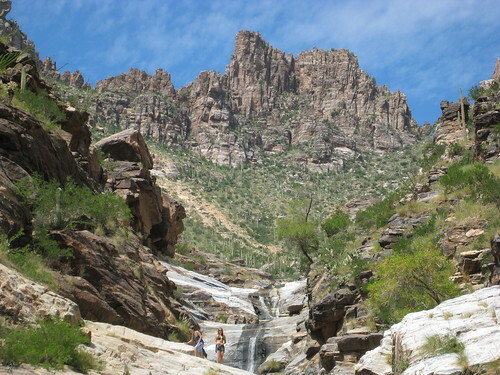 What's your favorite spring hike near Tucson? Tell us your thoughts in the comments.